The Center for Hearing and Communication estimates that as many as 48 million American adults are deaf, hard of hearing, or hearing-deteriorated. According to the World Health Organization, over 5% of the world is estimated to have significant hearing loss. With such a significant portion of the population needing accommodations for hearing-related conditions, it would seem that knowing how to meet deaf people’s housing preferences would be well-known and widespread. This is usually not the case. Hearing people often lack the experience needed to understand how a different level of hearing can affect a person’s daily life, even at home. Fortunately, there are many ways that people can improve their homes to make it easier for them to enjoy it more fully. With this information, homeowners will have a more comprehensive view of the way that the layout and structure of a home can affect accessibility for deaf individuals. These suggestions range from fairly extensive renovations to simple technology upgrades. Every home improvement for this purpose should first consider the deaf resident’s needs and preferences. This guide is designed to assist deaf people looking to make their own home upgrades, parents of deaf children, adults with deaf or hard of hearing spouses or parents, veterans, and new home buyers. Despite all being deaf, the experiences of deaf individuals vary vastly from person to person. These differences can show up in how deaf individuals choose to interact with and accommodate themselves in a hearing world, which can affect the accommodations they need in their home. A deaf adult who uses American Sign Language (ASL) will have different needs than one who uses a cochlear implant to increase their hearing ability. Sometimes, hearing parents, children, or spouses try to negotiate the home improvement on behalf of their loved ones. This can help to bypass communication differences, but people who take such a path should be careful. Household members without this experience may not make the right decision without assistance. It is vital to get a deaf or hard of hearing person’s input on the upgrades or changes that would most benefit them. Asking for this information at every stage of the process will increase the likelihood that the improvements will be useful. Whenever possible, however, it is best to involve the deaf members of the household in the renovation process from start to finish. If necessary, consider hiring an interpreter so ASL users can speak directly to contractors and designers during the process. 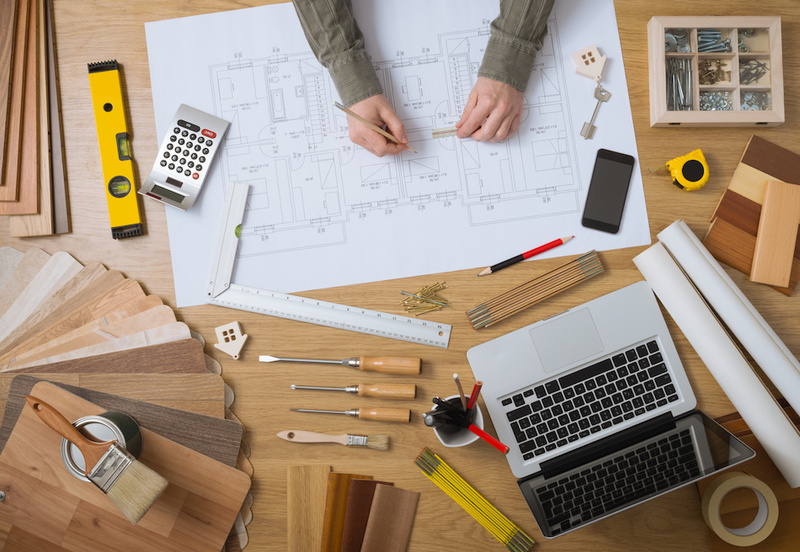 When homeowners start to think about home improvements for a broader purpose, or when deaf individuals first undertake homeownership, they may find it difficult to know precisely where to start. After all, most homes are designed with hearing inhabitants in mind, and most designers lack the experience to tell them which changes would be the most practical and desirable. Looking at the layout of the home itself, not just the features contained therein, can provide an understanding of what functionality deaf people require in a home compared to hearing people. Analyzing light, color, layout, spaciousness, and acoustics will help homeowners target improvements they should consider first. The lighting of the home could make a significant improvement or distraction from people’s ability to evaluate the space and use it for daily tasks. Many deaf people have expressed preferences toward lighting and color scheme that promotes visual acuity and does not increase eyestrain. Soft lighting that is bright enough for easy visibility without creating glare is key. Many homeowners may choose to increase the available lighting, but they should be careful in what choices they make. Generally, lighting should be consistent throughout the day. 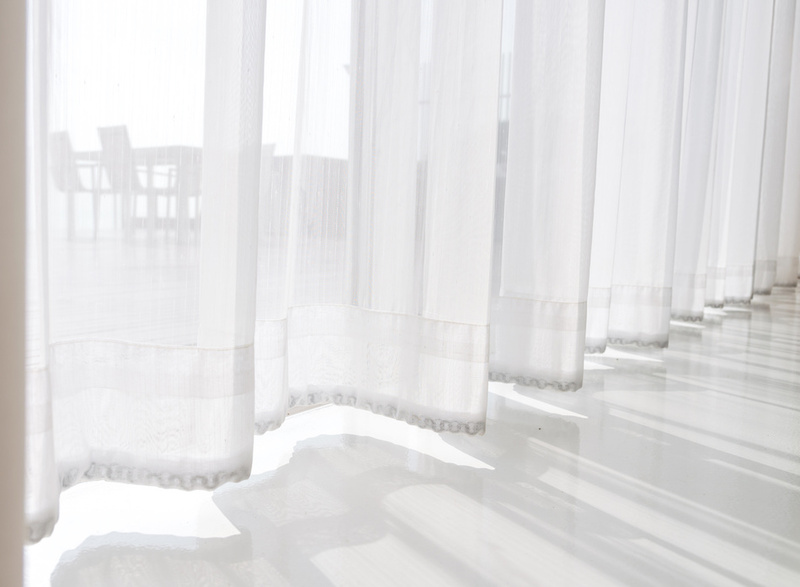 This means that homeowners might want to put in sheer curtains to diffuse sunlight in daytime and add moderate lighting for darker areas like room corners and hallways. People should keep in mind that an excess of shadow can be as hindering as glaring sunlight. Paint colors and styles can also improve someone’s ability to communicate in sign language. Loud patterns or conflicting shades are often considered distracting. Instead, when decorating a deaf-owned home, homeowners should select solid, neutral colors that contrast well with skin tones. This allows a person’s outline and hands to stand out more clearly. Experts recommend using softer tones of blue and green to achieve the best effect. For people who rely more on their sight for information and communication with others, room design and layout is even more important. Closed spaces with multiple smaller rooms may make it harder to get someone’s attention or understand what they are saying from a distance. When buying a home, a focus should be placed on finding a home with a pre-existing open floor plan. When retrofitting a home, homeowners may want to evaluate these spaces and see how they can make them appear more open. This may include turning two small, enclosed spaces into one larger room. If knocking down walls is not a reasonable option, people might consider creating window spaces to promote a longer sight line. The arrangement of the room makes a significant difference, too. People who use lipreading or sign language for communication need to be able to see everyone they interact with. As such, homeowners may want to place seating in a circular or "horseshoe" fashion, as is standard at many Deaf events. This way, everyone can see each other while seated. Opting for individual chairs over long couches will make it easier for people to turn toward the person sitting next to them. Limiting obstacles like room dividers or light fixtures can help increase visibility and comfort. The space people need in order to speak in English with each other while walking down a hallway is considerably smaller than the area people need to use ASL. In fact, designers building spaces for deaf people often widen walkways much more than others might expect would be necessary. This difference is fairly easy to understand when homeowners break down these spatial needs. Two hearing people can walk single-file down a corridor and still communicate with each other. Two deaf people using sign language must walk side by side. They require enough space to move their hands without knocking into the wall or each other. Expanding hallways may not always be a viable improvement homeowners can make, but it is a worthy consideration. As people think about buying a new home, they may give preference to houses that minimize narrow corridors and offer more open spaces. Homeowners with only a short hall from the bedrooms to the living spaces might think about other ways they can improve communication as people occupy the more tightly-designed areas of the home. For example, they may opt to curve the wall to reduce the length of the hallway. Various aspects of the home can change the way sound travels. These acoustics can make sounds easier to identify, or harder to separate. What a deaf or hard of hearing resident needs to improve depends on what they are hoping to achieve. For example, reverberation and echoes may create a distraction for someone who uses an assistive device like a hearing aid. Homeowners should take these factors into consideration as a way to help them plan practical improvements. For people who want to encourage their hearing acuity, filtering out unnecessary noise is important. The position of the ceiling can maximize this potential, as many people who use hearing aids or cochlear implants say that they regularly struggle to focus on the sound they really want to hear over those they do not. In fact, some sounds may even be painful. Echoing noises can be a particular problem, especially in rooms with high ceilings. Homeowners can address this issue by altering the height of the ceiling or finding ways to muffle the noise. Lowering the ceiling may be the most complicated choice, although it is far from impossible. Home buyers may consider homes without high or vaulted ceilings as a simple alternative. In rooms that still generate echoing or reverberation, residents may prefer to install acoustic ceiling tiles. These tiles are designed to absorb sound and create a quieter, more controlled acoustic environment. They come in a variety of colors and styles, so that homeowners can make a selection that suits their acoustic and design expectations. These options range from affordable to more expensive, depending on the choice people make and the size of the flooring. Acoustic flooring is usually made of special materials with a unique installation process and treatment. They are designed to look like a standard hardwood, tile, or vinyl floor. In some cases, deaf people may want to use the flooring as a means of communication. A hard stamping on a hardwood floor can create a vibration that runs across a room or into other rooms and is frequently used to get the attention of deaf individuals who cannot see one another. If this tactic is widely used in a household, homeowners should consider flooring options that do not muffle sound as much. In this case, hardwood or vinyl may work better to achieve this instead of stone or carpet. Perhaps unsurprisingly, windows are not as effective at blocking outside sounds as exterior walls can be. A busy road nearby or a flight path overhead can cause windows to rattle, potentially distracting people using assistive devices. Fortunately, homeowners have a few options to improve the acoustics of their windows. Some are simple and inexpensive, like adding heavy drapes or curtains to muffle or diffuse any sounds. If the window seems to rattle inside its frame, caulking and weatherstripping may help. This is a simple task that does not cost a lot of money and can resolve air gaps around the window (increasing a home's energy efficiency through better insulation as an added bonus). The sound control of the window itself depends largely on the number of panes. Single-paned windows have only a sheet of glass between the outdoors and indoors. Double-paned windows have two panes of glass with a layer in-between that can help block sound. Installing an acoustic window insert will decrease the sound by as much as 70 percent. In rooms with very loud noises, homeowners might want to consider installing triple-paned windows. This adds an additional layer of sound blocking, but it usually costs a fair bit more than standard double-paned windows. Many homeowners decide to install acoustic panels on their walls as well as the ceiling. This addition can absorb sound and keep it from traveling from room to room. It may be less expensive than replacing existing drywall with materials that block sound. Different products often have unique installation guidelines. Some are like hanging a picture on the wall. Others may require installation to the ceiling instead. Homeowners should confirm that they understand the installation method for the product. Many people prefer to use an impaling clip system that holds the panel on the wall while adhesive dries. For this approach, people need to designate four spots on the wall for the clips. These spots are best about 4” from the outside of the panel. Then, they attach the impaling clip to the wall. Using a special glue in several places on the back of the panel, homeowners can place the panel on the wall. The pointy side of the clip sticks into the panel to hold it in place. This method can make removing the panel more difficult and likely to cause damage. Instead, some people would rather use Z-clips to avoid the need for adhesive. 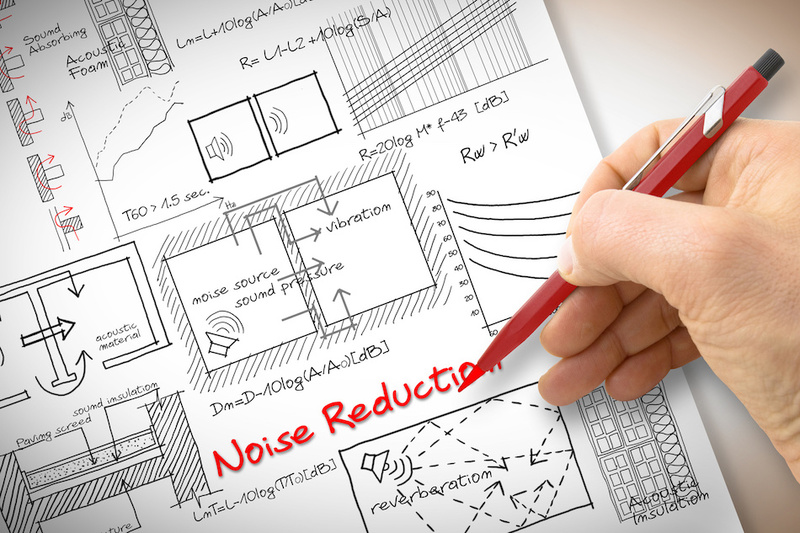 Home appliances often generate a lot of noise or vibrations that deaf or hard of hearing people may want to minimize. In fact, any appliance that runs on technology can produce sound at a specific frequency. Homeowners or residents who use assistive devices may find that some appliances hum at an uncomfortable volume for them, some loudly enough so to be distracting. The best way to avoid this noise is to buy appliances known to be quiet, and to avoid louder models. If possible, testing out the machine in the store may help people decide. Some sounds are unavoidable, but the right product can reduce them to a manageable level. Large appliances, such as a washer, dryer or refrigerator, are more likely to make noise if they are not sitting flat on the floor, so homeowners can quiet them by utilizing adjustable feet to keep the noise down. In addition, front-load washers tend to create more vibrations than top-load styles. Upkeep makes a difference, as well, as older appliances like refrigerators, air conditioners and furnaces tend to start clanking and rattling when they are in need of repair. Homeowners who schedule repairs for these machines when they first notice them may eliminate the noise and save themselves the trouble of buying a new one. Although structural home improvements can often make a space more comfortable for deaf or hard of hearing people, technology is another aspect that homeowners should consider. Innovations over the past several years make it much easier for people to streamline their communication methods, lighting and home security into a convenient set of tools. 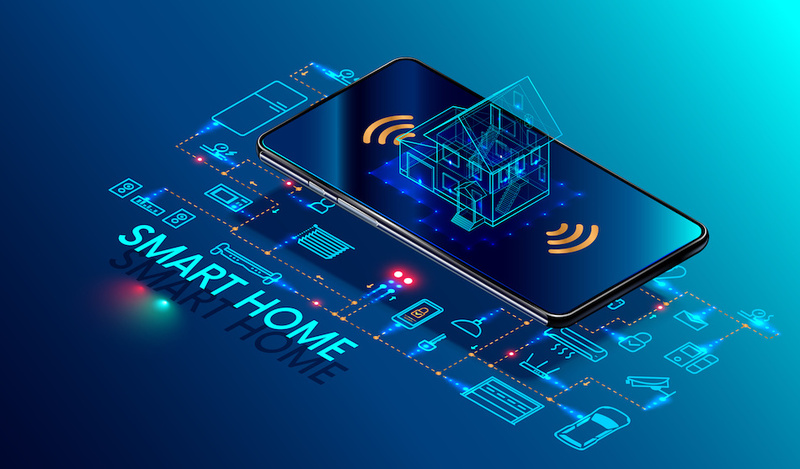 Some products are designed to integrate into other systems of the home, so that homeowners can operate them directly from a smartphone, tablet or computer. Fires can be extremely dangerous for anyone living in a home, particularly because they can spread so quickly. Carbon monoxide is colorless and odorless, but it can be just as deadly as fire. Experts recommend installing smoke alarms and carbon monoxide detectors in several parts of the home. Since most alarm systems are designed for a hearing population, deaf people may want to look into alternatives that flash lights or vibrate. Homeowners can choose to install new detectors or purchase after-market products that make existing systems work for their needs. Some models offer people the ability to switch from a siren to a strobe light or vibrating device. Homeowners should consider whether they want to rely on one communication method or multiple choices, and find a device that meets all these needs. Options that allow people to customize their preferences will typically stay relevant and useful longer. They can also buy an “all-in-one” setup that uses existing detectors. With this kind of system, a transmitter can turn on a receiver to activate a variety of signals, including lights, vibration, sound, or voice. The right kind of security system or alarm will provide different information based on the situation. Because there are so many levels of hearing that deaf individuals experience, different alarms should be used to meet the unique needs of each household. Some deaf individuals with residual hearing might choose to install alarms with loud sirens that are more likely to wake them up or get their attention while they are doing other things. However, homeowners who use assistive devices may want to test out the siren before installing it, to confirm that the sound is not too loud or painful. People who do not use these devices can get alarms that create other sensations. Some products will flash in different colors to indicate the nature of the problem. Others can be hooked up to a vibrating panel that homeowners attach to a bed or other piece of furniture. When the alarm is triggered, the panel starts vibrating the bed, couch or chair. Since false alarms in security systems happen from time to time, homeowners should ensure that they always have a communication device nearby. That way, when the home security company reaches out to verify, they can respond quickly. Just about anyone can benefit from some kind of reminder that the appliance they are using is done with its task. The best choices make it easy for homeowners to find out information about the status of the appliance, including ways to let them know if they have left it on by accident. At the most basic level, deaf or hard of hearing people can use timers that vibrate when they go off instead of ringing. It may be harder to find appliances with this feature, however, many smartphones offer this customization option by default. As an alternative, homeowners might decide to invest in smart appliances. These tools connect to the home’s Wi-Fi and provide information to residents about the status of the task. This is a simple way for people to see the temperature of the refrigerator or how many minutes they have left on dinner in the oven. These appliances can also use smart technology to provide notifications about the unexpected. Someone who forgot to turn off a smart oven could get a reminder to their smartphone, and even turn it off remotely. Almost any homeowner can gain a benefit from improving the outdoor lighting and making it easier to activate. Deaf or hard of hearing people rely more on visual cues than hearing people, which makes good visibility outdoors that much more important. Lights on a motion sensor can act as an effective deterrent to intruders, as well as illuminating the driveway and walkways around the house. People can even hook their lighting to a broader home security system, allowing them to receive notifications as soon as the lighting turns on. Although many people think of motion sensors in a driveway, they have practical use in many parts of the yard. Plenty of homeowners install lighting along walkways or other dimly-lit areas of the property. Lighting on a motion sensor makes it easy for people to get an adequate level of lighting they need to walk safely, without having to locate a light switch. Multiple lights can improve communication for people who use sign language. 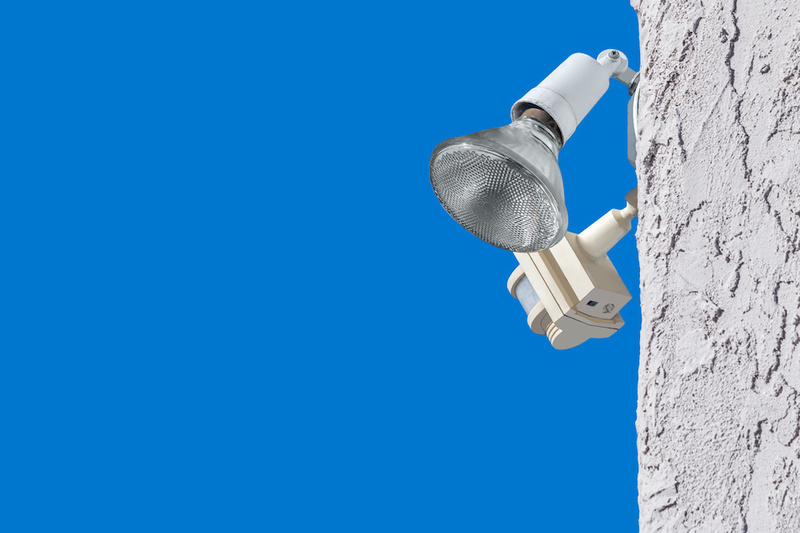 As an added benefit, many new motion sensor lights use LED bulbs, which expend little energy and can last for several years. Getting up to an alarm may require people to consider multiple methods. People who use a cochlear implant or hearing aid often do not wear them while sleeping, so they cannot rely on that tool to wake themselves up on time. Alarms for deaf or hard of hearing people can usually be customized to suit the needs of the user. Many homeowners use their mobile phones as an alarm. Some people get adequate use from turning their alarm volume up until they can hear it. However, the vibration function on these may not be enough to trigger an alert reaction. There are many alarm clocks available as a standalone device or something that can connect to a smartphone via Bluetooth. People may opt to place a flat object under their pillows that will vibrate heavily when turned on. Others might prefer a function that flashes a very bright light repeatedly until it is turned off. This type of light is usually as bright as a camera flash, so it can be noticed by people, even if their eyes are closed. As a general rule, alarms with more features and smartphone capability tend to cost more. The way that deaf people use phones can vary considerably from person to person. Many people prefer not to rely on the voice function of a phone, instead using texts or other written capabilities to communicate. Others, especially those who are late-deafened or hearing-deteriorated with a moderate level of hearing remaining, may want to maximize their understanding as they talk to hearing people on the phone. Deaf people who can speak may use captioned phones to understand what the other party is saying. Captioned phones use a service that captures the spoken words and transcribes them into text a person can read. Voice recognition software makes this process fairly quick and usually quite accurate. Instead of using a standard phone and relying on captioning or latent hearing ability, many deaf individuals who use ASL prefer to use a video relay service in which they make a video call to an ASL interpreter, who connects via traditional telephone to whoever is being contacted. The interpreter communicates in ASL to the deaf user while communicating in English to the user on the other end of the line. These are most often used when making professional calls, such as to banks, doctors, or other contacts in which clear communication is key. The lighting, color, and busyness of a room is important for effective communication in ASL, especially through a camera. Landline phones often offer the same features as alarm clocks and other tools, such as bright flashing lights, louder sounds, or vibration. After-market phone signalers can plug into a standard phone to provide these options, as well. Homeowners who do not have a landline or who mostly use mobile can also purchase accessories for smartphones that will activate when the phone receives a call or text message. The device can then flash or vibrate to get the user’s attention. Knowing that someone is at the door is important for anyone who receives regular visitors. Recent technology makes it easier for deaf or hard of hearing people to learn that a person has arrived, no matter how they choose to knock. It can be useful for both exterior and interior doors. 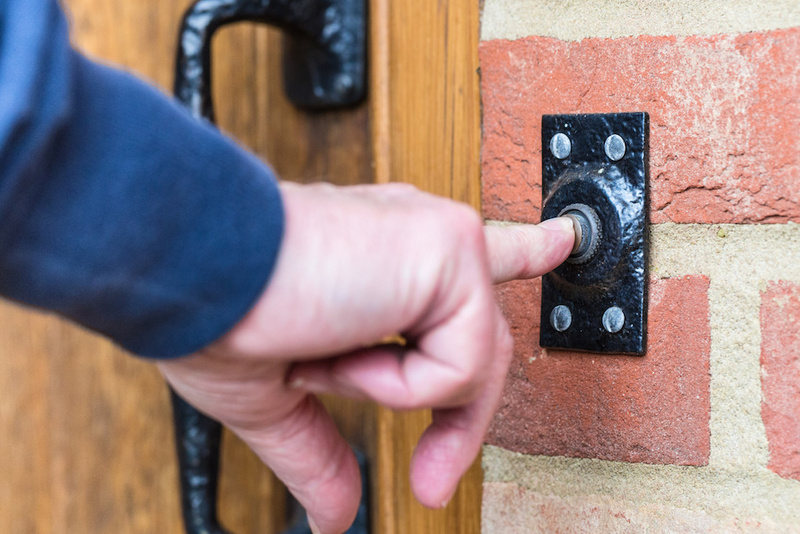 Doorbells typically ring when someone presses them, but the sound may not be loud or long enough. Homeowners may turn up the volume of an existing doorbell or choose one that uses a longer melody instead of a short ring. Some doorbells can trigger a light or another device to create a loud vibration. The use of certain door lights can be somewhat limited, because residents have to be within sight of the door to see the light. Many people opt to buy a doorbell that activates a vibrating pager when pressed. Like smoke alarms, homeowners can also install a notification system that works with their current doorbell. Smart door systems can combine these and other security features. Door lights flash in multiple when a visitor knocks or rings the doorbell. Security cameras can help people see who is on the other side of the door. Although hearing aids and cochlear implants can be an excellent tool for deaf and hard of hearing people to increase their hearing acuity, they are not appropriate for everyone. For example, these devices are often designed for people with specific hearing levels. To provide additional listening support for people, whether or not they use hearing aids or cochlear implants, there are other technological innovations available. Much like a portable or car radio picks up a transmission and delivers it to the speaker, these assistive listening devices deliver sound, voice, and music to a speaker closer to the person listening. In many cases, people who use hearing aids or cochlear implants can tune these devices to get better sound and clarity. This can reduce feedback, make it easier to overcome background noise, and improve the experience overall. Some of these assistive listening devices work exactly like a radio with a limited range. FM systems select an FM frequency in which they can capture a transmission and send it to a speaker within a short range. The transmitter is a machine that has a microphone to record the sound. With some products, the receiver can also use a microphone to make the system more like a two-way radio. The transmitter may also have connections to hook it up to a television or computer. The person operating the transmitter selects an FM radio frequency that is not already occupied and uses the microphone to deliver the sound in real-time. The sound goes to a receiver, but it can go further. Every system has a receiver to receive the voice or musical sounds. Many receivers can also connect to a hearing aid or cochlear implant. This means that the person using it does not have to listen to a speaker through their hearing aid. The hearing aid or implant becomes the speaker through which the sound can be conveyed. Although FM systems are common, there are other methods people can use. Infrared systems rely on light instead of radio waves to transmit sound. People use infrared technology all the time, most commonly through a remote control on a television. Infrared systems take advantage of infrared light present in the room as a sound conductor. The system needs infrared radiators to shine the light into the designated space. Although larger facilities might have as many as four radiators, people do not see the light. Infrared and ultraviolet light fall outside the spectrum of light most humans can see. As such, people can enjoy the benefit without worrying about harsh lighting. Like an FM system, infrared sound technology needs a transmitter and receiver. The transmitter sends the audio to the receiver, which is often connected to an earpiece or headphones. Some infrared listening products can connect to certain types of hearing aids and cochlear implants. Homeowners should confirm that they have the right equipment needed before making a purchase. People who have the correct technology may be able to take advantage of audio induction loops to increase sound and listening acuity. Hearing loops use a thin wire and a magnetic field to transfer audio to a designated receiver. The wire usually needs to be installed on the floor surrounding the people who will use the technology. These systems can be more expensive because they take time and labor to install properly. Some cochlear implants and hearing aids come with a built-in coil of wire called a telecoil, or t-switch. Devices with this technology will be able to connect to an induction system directly, instead of using a receiver. This means that people who have this technology can enjoy the sound without having to carry a receiver or wear one around their necks. Those who do not use these devices can still use the system, with a receiver and their choice of a variety of earphones. Homeowners who are interested in this technology should ask a qualified installer for information about retrofitting it to their homes. 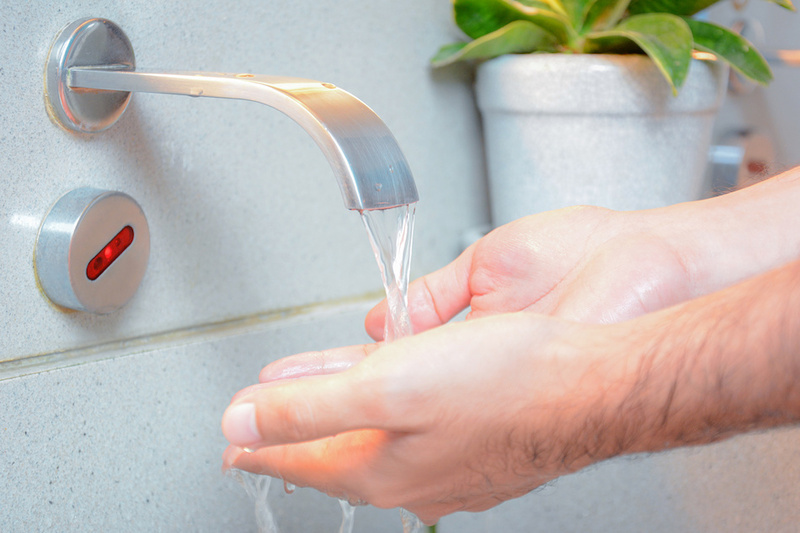 Although people may worry about the efficacy of a system that works on a motion sensor, technological developments make this type of faucet more accurate every year. Combining it with smart home features can ensure that homeowners cut down on their water consumption, with the knowledge that the water coming out can be the right temperature every time. Every homeowner wants to make their homes more comfortable and useful for the people who live in it. Although the needs and preferences of deaf people can be different from hearing people, there are many home improvements that can increase visibility and minimize communication complications or painful noises. Homeowners only need to consider their needs and their budget, and then they can start planning.